The pre-professional year of study at a post-secondary level provides a solid foundation in university education, preparation for upper-year nursing classes and transferable credits to other health science degrees. Social science and open electives provide students with the choice to take courses that appeal to them. Enrolment in the program is limited to the number that can be accommodated in class and clinical practice. 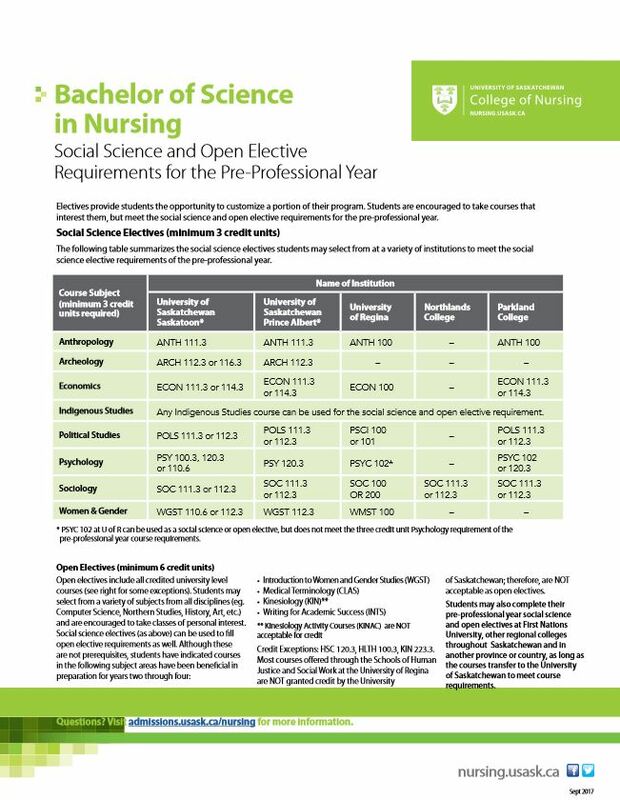 Although the minimum required average in the pre-professional year is 60%, the actual admission average for second year may be higher depending on the number of competitive applicants who apply each year. Every effort will be made to accommodate qualified applicants. The pre-professional year may be completed at a variety of institutions and regional colleges. Learn more about pre-professional year locations here.